Increasing your mobility and having full access of your home are as simple as installing a stairlift. Stairs become an obstruction or a hazard when you age or have a disability: Risks of falls increase on stairs, and as the stairs become impossible to climb, they cut you off from a significant part of your home. 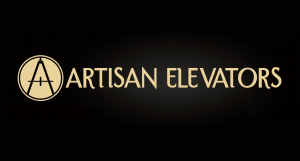 A stairlift allows you to move from one floor to another with ease and are available for narrow staircases, wheelchairs, larger passengers, and commercial buildings. In general, a stairlift is a mobility device used for going up and down steps and requires a track system, which is installed directly onto the stairs or to a wall. Two basic models for residential and commercial properties are possible: straight or curved. Out of these two, straight stairlifts cost less and align with most staircases. A straight stairlift, however, does not work with an L-shaped or curved staircase. Two stairlifts can be combined for an L-shaped staircase, but a custom track is far more convenient. Custom stairlifts, however, require more labor and, as a result, are priced significantly higher than their straight counterparts. Curved stairlifts can be designed with 90- or 180-degree turns or built to move across a landing. Aside from these two basic designs, stairlifts are built to address various physical or structural needs. Older homes, for instance, may be built with narrow staircases, and a standard stairlift may be too large. A compact stairlift, on the other hand, fits up the stairs, installs close to the wall, and folds up at either end. Homes may need more than one stairlift, and this is often the case for properties with outside steps. For getting up to a porch or getting inside a building, an outdoor stairlift is built with all standard features and has a weather-tight cover, which protects the device in all seasons and conditions. If you use a wheelchair or motorized scooter, you may face similar obstacles indoors and outside, and a platform stairlift is built specifically for this need. 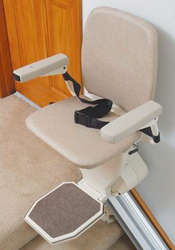 Inside or outdoors, a platform stairlift is equipped with surface large enough to move a scooter or wheelchair from one floor to another.